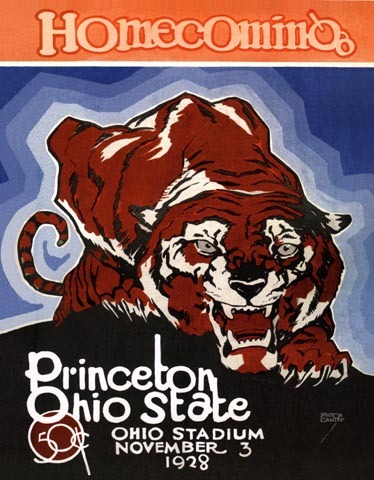 In the 1920's many Ivy League teams were more than competitive with their Big Ten counterparts. Princeton lost but one game and was capable of holding its own against the best of them. This was a Milton Caniff cover, another Buckeye student who was on his way to making a name for himself in the world of newspaper comics with his "Steve Canyon" and "Terry and the Pirates" strips that ran for many decades beginning in the 30's..